A hardiness zone is a geographic area defined to encompass a certain range of climatic conditions relevant to plant growth and survival. 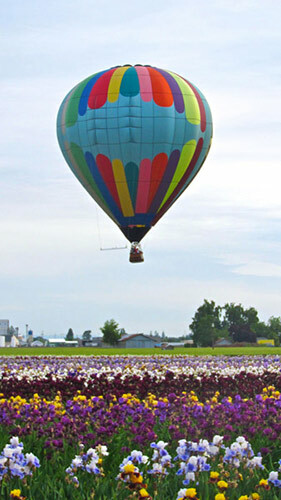 The original and most widely-used system, developed by the United States Department of Agriculture (USDA) as a rough guide for landscaping and gardening, defines 13 zones by annual extreme minimum temperature. 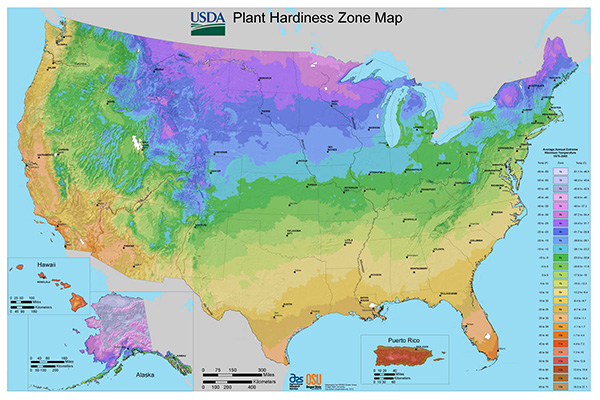 Unless otherwise specified, "hardiness zone" or simply "zone" usually refers to the USDA scale. For example, a plant may be described as "hardy to zone 10": this means that the plant can withstand a minimum temperature of -1 °C (30.2 °F) to 3.9 °C (39.0 °F). Click the map to view your hardiness zone. To locate your zone by zip code, visit the USDA zone finder. Click here to be taken to the website operated by the USDA..